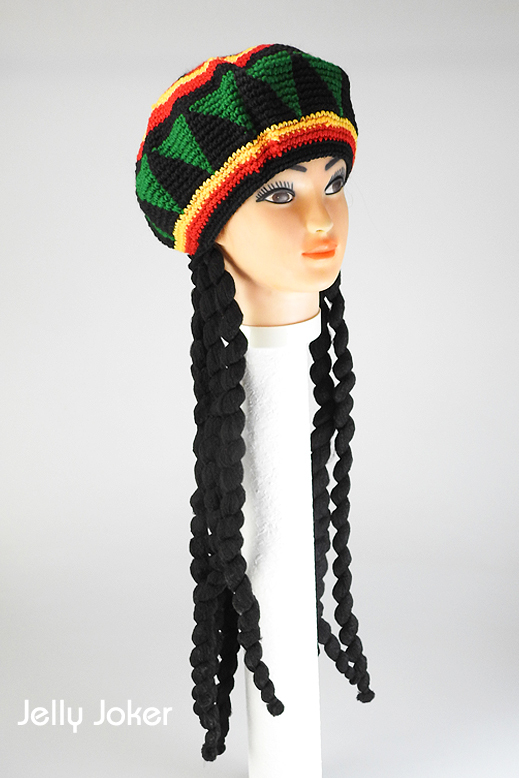 High-quality Rastafarian beanie with black dreadlocks This Rastafarian beanie with black dreadlocks is made of high quality. Fine mesh and strong colours. 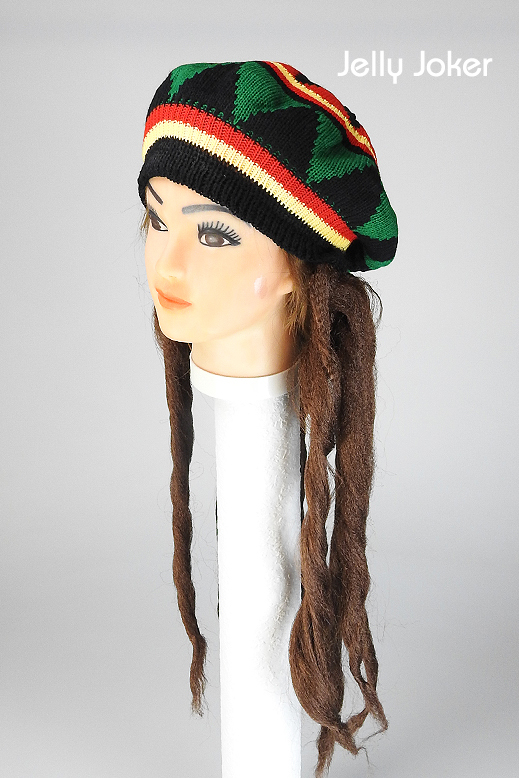 High-quality Rastafarian beanie with dreadlocks This Rastafarian beanie with dreadlocks is produced to a high quality standard. Fine mesh and strong colours. 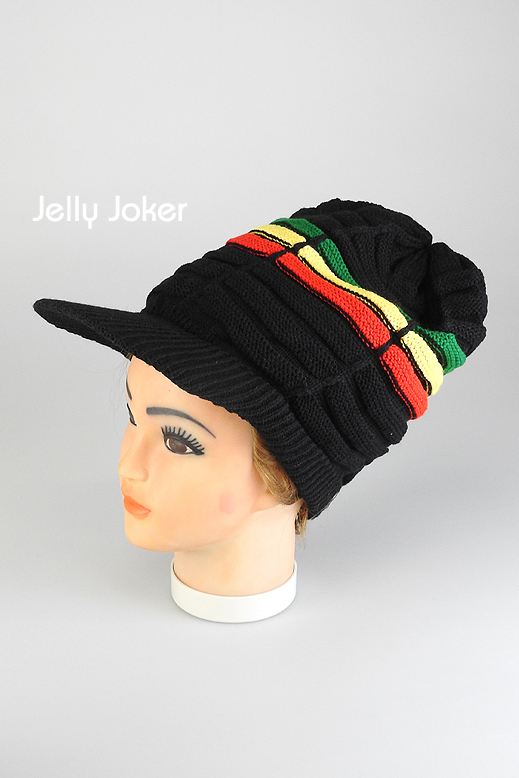 Rastafarian knitted beanie with cap Rastafarian knitted beanie with cap. Good workmanship, comfortable to wear. 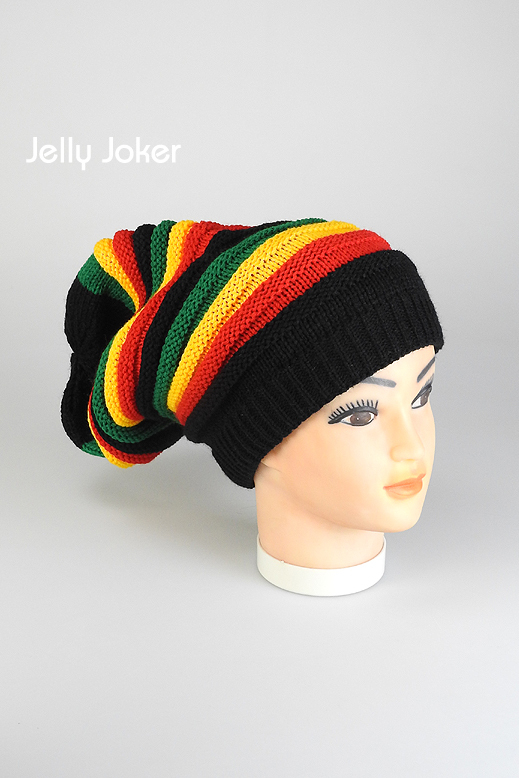 Rastafarian knitted beanie for long hair Rastafarian knitted beanie for long hair. Good workmanship, comfortable to wear. 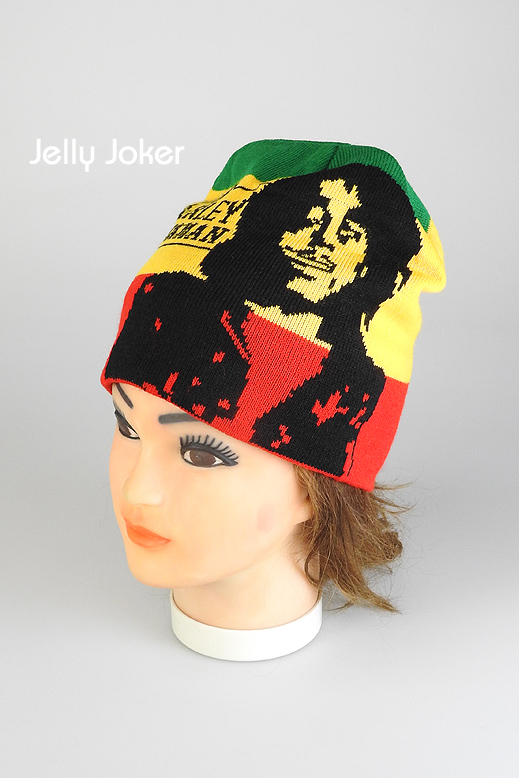 Bob Marley Beanie Bob Marley Rastafari Beanie. Good workmanship; comfortable wearing comfort (100% polyester).